•www.rhinestonz.co.nz is hereafter referred to as 'this site'. •By placing an order by any method, direct or indirect, or by accessing this site you acknowledge that you understand and accept all our Terms and Conditions. Our Cancellation Policy is in accordance with our banking provider's e-commerce requirements which are that once an order has been placed you cannot cancel it. In the event that any item or part of a quantity of an item you have ordered is not in stock, not currently available, or is no longer available due to termination/non-production or retirement of an item at source, our Back Order Policy will apply. If you wish to on-sell our products you may not infer, imply or otherwise state that you are a Swarovski or a Preciosa or a Rhinestonz & Beads Distributor / Partner / Representative / Agent or similar of the preceding companies. You may not copy, edit or use any of the companies' logos or branding without express permission of these companies. •We are not responsible for damage of any kind due to the application, use or misuse of any products or information on this site. The oral, written and test-based advice we provide regarding application techniques and product use, are recommendations based on our current knowledge and the information provided by our suppliers. It does not discharge you from carrying out your own tests of the proposed techniques and their suitability for the intended application. It is your responsibility to ensure the items you purchase are suitable for their intended use and the care you can give them. The application, use and processing of these techniques and products are solely your responsibility. Where there are manufacturer's recommendations on supplied products, please ensure you follow these. Please read the Warnings listed at the bottom of this page. •We are not responsible for any computer virus or malfunction caused to your computer by you accessing this site. •We cannot guarantee any images from this site displayed on your browser will be an exact replica of either the size, texture or colour of the actual product. Samples are available at our discretion, or items 'per each' are available for purchase. •All prices, products and descriptions on this site are subject to change without notice and errors or omissions either on this site or in any other form of communication are accepted. 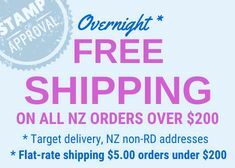 •All prices displayed on this site include our New Zealand Goods and Services Tax (GST). Please note that International clients do NOT pay this tax and 10% will be manually deducted from the total product price when an order is to be sent to an address outside New Zealand. •By supplying your contact details to us either through an order, an email, by phone or by written word, you are agreeing that we may contact you using any of those methods. Any newsletter/blog is only used to inform clients of new products, special offers, discounts, and helpful hints etc. If you have subscribed you may unsubscribe at any time. •By New Zealand law we must keep a record of your name, address and details of any orders and payments. Beyond this lawful responsibility all client information is kept completely secure and confidential to Rhinestonz & Beads. •Payment - we accept Visa, Mastercard and most Debit cards, and we accept correctly activated Prezzy cards. Direct Bank Transfer or cheque payment is only available to New Zealand clients. We do not offer credit terms or appros. All orders are charged in New Zealand Dollars (NZD). Our payment acceptance system is PCI DSS compliant. PCI DSS is a comprehensive set of requirements created by the Payment Card Industry Security Standards Council for enhancing cardholder data security and to ensure the safe handling and storage of sensitive customer credit card information / data. •Orders are normally dispatched within 1-2 working days of payment being confirmed. We have no minimum order quantity. We are not responsible for any consequences due to any items being temporarily out of stock or discontinued. If an order is to be sent to an address outside of NZ, and the value is over NZD1000.00, an extra day can be required to fulfil customs requirements before your parcel is dispatched from our premises. •Depending on the size of the order, rhinestones or beads are either physically counted or determined by weight and a plus or minus of 1% is allowed. •Delivery of orders to a New Zealand address is by Track & Trace Courier. This is non-negotiable. •Delivery to an International address is by Airmail, Economy Courier or Express Courier. We are not responsible for any duty or further delivery fees that may be incurred by Customs and/or Delivery Agents once your order arrives in your home country. Insurance/cover options are detailed here. •Delivery of the goods is made by us when we ship the goods to you and their risk passes to you as soon as the goods leave our premises. We accept no liability for loss, non delivery, damage during transit, delays in delivery or any subsequent consequences due to loss, damage or delays. We will, of course, co-operate with any transit company to provide information about your goods and address in the unlikely event that your goods are not delivered. Should the transit company accept a claim on any undelivered or damaged goods, our compensation to you will only be in the form of replacement goods. We do not offer cash compensation. •We have a policy for Returns, Exchanges and Replacements which applies to all orders. Correspondence and parcels can be received at Rhinestonz, 61 Wallath Road, New Plymouth 4310. Our email is stonz at rhinestonz dot co dot nz, with standard conventions for email for 'at' and 'dot'. We reserve the right to assess the condition of the goods on their return and the right to charge a 15% restocking fee unless the return is due to an error on our part. If we consider any returned goods to be faulty we will meet our obligations under the New Zealand Consumer Guarantees Act. Unprocessed means any or all of the following: Original factory packets that have not been opened or damaged, any item that has not been cut or glued, any item that has not been sewn or threaded, any item that has not been worn or used, any units that have not been partially used. •Swarovski©, Strass©, Spectra©, Xilion©, Xilion Enhanced© and Xirius© are names registered to Swarovski AG. Preciosa© and Viva12© are names registered to Preciosa a.s. Wherever these names are used, the © mark is implied even though not shown. •New Zealand Law applies to all our terms and conditions and any disputes arising from them shall be resolved in New Plymouth, New Zealand by a sole arbitrator appointed by the President of the Taranaki District Law Society and the decision will be binding on all parties. •Please ensure all products are suitable for their intended use. •Loose crystals and beads can be wrongfully inhaled, swallowed, choked on, or inserted into ears or nose. •No application technique or process guarantees that crystals will not come loose from their carrier object and the customer must accept full responsibility for assessing the small parts risk or choking hazard that they may pose to young children especially those aged under three. •All crystal decorated tableware items should be hand washed and crystals should never be applied to any tableware likely to come in contact with food due to the risk of choking, inhalation, swallowing or tooth damage. •Crystals are typically intended for use in jewellery, the embellishment of accessories and textiles, and in lighting and interior design. They are not suitable for other untypical use such as gluing to teeth or mucous membranes. •The use of adhesives and crystals (either of which may contain substances known as hazardous) on tableware is subject to legal restrictions in specific countries. The customer is fully responsible for complying with these country-specific provisions and in no way can hold Rhinestonz & Beads responsible if these provisions are not met.